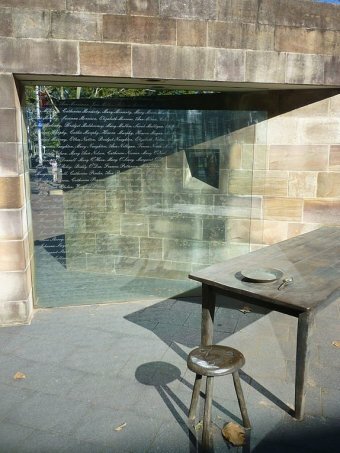 Memorial to the Great Irish Famine, Hyde Park Barracks, Sydney. 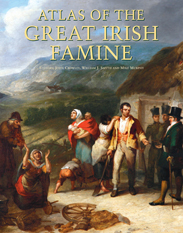 Publication of the amazing Atlas of the Great Irish Famine by Cork University Press, with maps that give unparallelled insight into what happened, at micro-level. Great speech by Tom Keneally at the launch at the State Library in Sydney, and fascinating yarns with cartographer Mike Murphy afterwards. 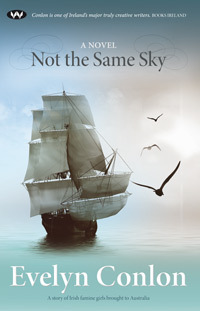 Irish writer Evelyn Conlon’s new novel, Not The Same Sky (Wakefield Press), explores the journey of some of the orphan girls, within a contemporary context. And a new series on TG4, Irish-language television in Ireland, Mná Díbeartha (Banished Women), starts 25 September. I’m one of many historians and commentators interviewed (Episode 4), in a beautifully filmed work that questions why Irish women sent to Australia in difficult circumstances were so maligned. “It rescues them from obscurity and restores their historical importance in building the Australian nation, the young orphan girls viewed as “the moral dregs of the workhouses – the most stupid, the most ignorant, the most unmanageable set of beings that ever cursed a country by their presence”, and the transported women, who, because of contemporary attitudes towards them and the shame of the convict ‘stain’ have not gained any place as pioneers in the legends and histories of their home and adopted countries. And a final Famine link – a lovely evening of Irish-Australian song, poetry and story at the State Library of NSW on 24 October with actor Maeliosa Stafford, co-founder of Galway’s Druid Theatre and frequent actor with the Abbey Theatre Dublin, but living in Sydney since late ’80s, and singer Freddie White, whose gravelly voice I used to play on Breakfast Radio on RTE in the ’80s, and who has moved here with his wife Trish Hickey, a wonderful singer herself. Maeliosa paid tribute to my Famine Girls doco, noting how these stories of ordinary unsung heroes such as Eliza Fraser had moved and inspired him. Maeliosa has often played Irish parts in historical re-enactments in my documentaries, and we actually know each other since Galway in 1978, so it seems fitting that our lives should intersect artistically at the other end of the world some 35 years on. 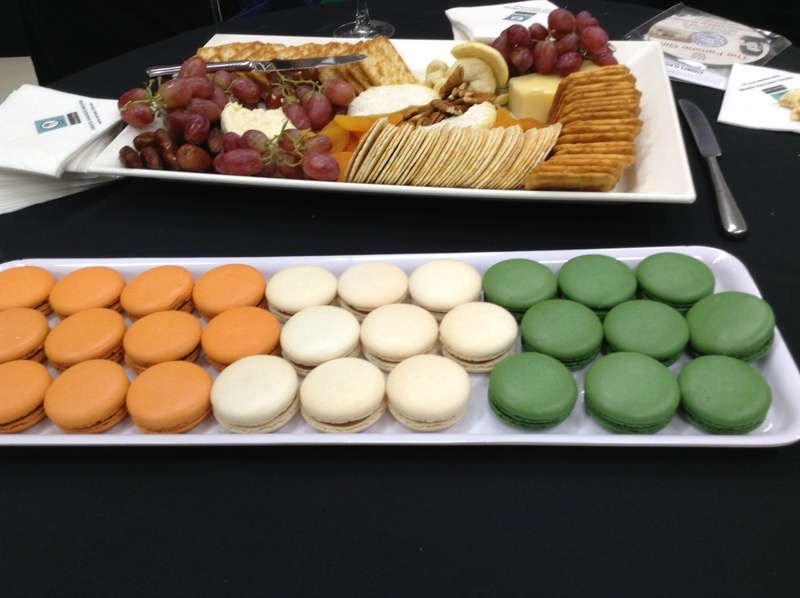 A tricolour plate of macaroons provided a fitting end to a stirring night.